Mabel Cook Cole was an anthropologist and author. 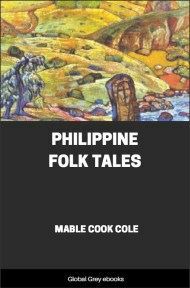 Her collection Philippine Folk Tales, published in 1916, was Cole’s attempt to make a thorough compilation of folktales from the nation. 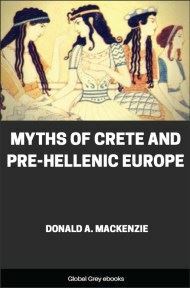 The stories are divided into five groups. 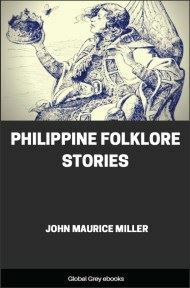 Tinguian, Ingorot, the Wild Tribes of Mindanao, Moro and Christian. One day Aponibolinayen and her sister-in-law went out to gather greens. They walked to the woods to the place where the siksiklat grew, for the tender leaves of this vine are very good to eat. Suddenly while searching about in the underbrush, Aponibolinayen cried out with joy, for she had found the vine, and she started to pick the leaves. Pull as hard as she would, however, the leaves did not come loose, and all at once the vine wound itself around her body and began carrying her upward. Far up through the air she went until she reached the sky, and there the vine set her down under a tree. Aponibolinayen was so surprised to find herself in the sky that for some time she just sat and looked around, and then, hearing a rooster crow, she arose to see if she could find it. Not far from where she had sat was a beautiful spring surrounded by tall betel-nut trees whose tops were pure gold. Rare beads were the sands of the spring, and the place where the women set their jars when they came to dip water was a large golden plate. As Aponibolinayen stood admiring the beauties of this spring, she beheld a small house nearby, and she was filled with fear lest the owner should find her there. She looked about for some means of escape and finally climbed to the top of a betel-nut tree and hid. Now the owner of this house was Ini-init, the Sun, but he was never at home in the daylight, for it was his duty to shine in the sky and give light to all the world. At the close of the day when the Big Star took his place in the sky to shine through the night, Ini-init returned to his house, but early the next morning he was always off again. From her place in the top of the betel-nut tree, Aponibolinayen saw the Sun when he came home at evening time, and again the next morning she saw him leave. When she was sure that he was out of sight she climbed down and entered his dwelling, for she was very hungry. She cooked rice, and into a pot of boiling water she dropped a stick which immediately became fish, so that she had all she wished to eat. When she was no longer hungry, she lay down on the bed to sleep. Now late in the afternoon Ini-init returned from his work and went to fish in the river near his house, and he caught a big fish. While he sat on the bank cleaning his catch, he happened to look up toward his house and was startled to see that it appeared to be on fire. 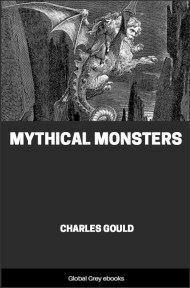 He hurried home, but when he reached the house he saw that it was not burning at all, and he entered. On his bed he beheld what looked like a flame of fire, but upon going closer he found that it was a beautiful woman fast asleep. Ini-init stood for some time wondering what he should do, and then he decided to cook some food and invite this lovely creature to eat with him. He put rice over the fire to boil and cut into pieces the fish he had caught. The noise of this awakened Aponibolinayen, and she slipped out of the house and back to the top of the betel-nut tree. The Sun did not see her leave, and when the food was prepared he called her, but the bed was empty and he had to eat alone. That night Ini-init could not sleep well, for all the time he wondered who the beautiful woman could be. The next morning, however, he rose as usual and set forth to shine in the sky, for that was his work. That day Aponibolinayen stole again to the house of the Sun and cooked food, and when she returned to the betel-nut tree she left rice and fish ready for the Sun when he came home. Late in the afternoon Ini-init went into his home, and when he found pots of hot rice and fish over the fire he was greatly troubled. After he had eaten he walked a long time in the fresh air. "Perhaps it is done by the lovely woman who looks like a flame of fire," he said. "If she comes again I will try to catch her." The next day the Sun shone in the sky as before, and when the afternoon grew late he called to the Big Star to hurry to take his place, for he was impatient to reach home. As he drew near the house he saw that it again looked as if it was on fire. He crept quietly up the ladder, and when he had reached the top he sprang in and shut the door behind him. Aponibolinayen, who was cooking rice over the fire, was surprised and angry that she had been caught; but the Sun gave her betel-nut which was covered with gold, and they chewed together and told each other their names. Then Aponibolinayen took up the rice and fish, and as they ate they talked together and became acquainted. After some time Aponibolinayen and the Sun were married, and every morning the Sun went to shine in the sky, and upon his return at night he found his supper ready for him. He began to be troubled, however, to know where the food came from, for though he brought home a fine fish every night, Aponibolinayen always refused to cook it. One night he watched her prepare their meal, and he saw that, instead of using the nice fish he had brought, she only dropped a stick into the pot of boiling water. "Why do you try to cook a stick?" asked Ini-init in surprise. "So that we can have fish to eat," answered his wife. "If you cook that stick for a month, it will not be soft," said Ini-init. "Take this fish that I caught in the net, for it will be good."